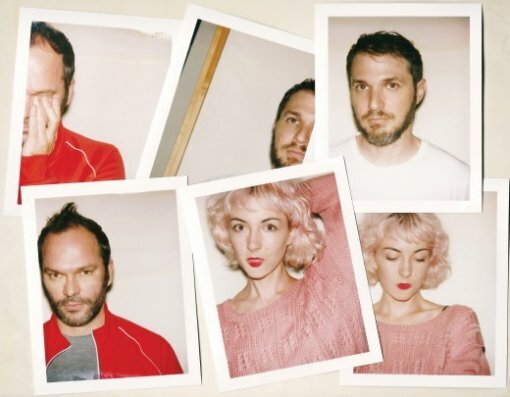 Ultraísta, the new band of famed Radiohead producer Nigel Godrich, drummer Joey Waronker (Jack White, Beck, REM, and many others) and front woman Laura Bettinson, released their self titled debut album on Temporary Residence last week. Favoring mantras over traditional choruses and distilling their compositions to the barest essentials, the band possesses the kind of masterful control over the pure anatomy of a pop song that only comes from having played a significant role in redefining the form in the 21st century. The band only has a handful of dates scheduled for the US so far and one of them is at Le Poisson Rouge on Wednesday, Oct 24 (Buy Tickets). If you’d like to win a pair of tickets to the LPR show go to www.bumpershine.com/ultraista and fill out the contest entry form. No purchase necessary. Contest ends on Oct 18, at 11:59 59 PM ET, 21+, 1 entry per person. All Ultraista tour dates, videos for “Smalltalk,” “Static Light,” and “Bad Insect” after the jump.